This adapter, to be used with a STAG PP39 / Zm2500 programmer and a Microcontroller 39M200 Gang Module, allows you the reading of Motorola microcontrollers MC68705R3 and MC68705U3 in less than 1 second. 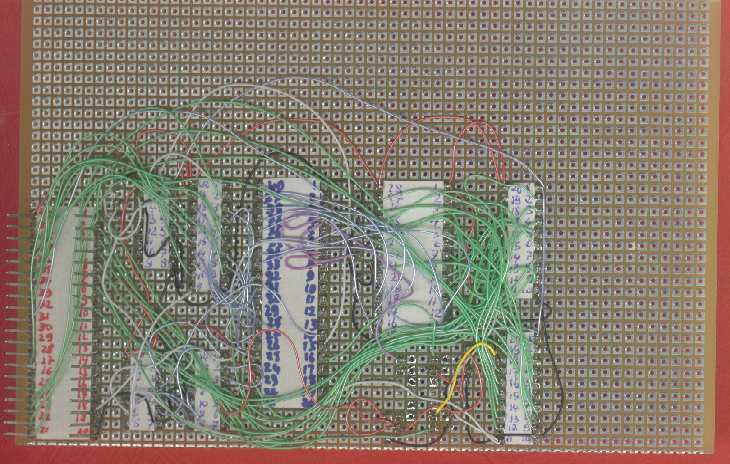 Code can be saved by transfering the binary dump through the serial line of the programmer using Stag Com1 software. Note: The 68MR00 adapter can also be used with the Zm2500 Stag programmer. 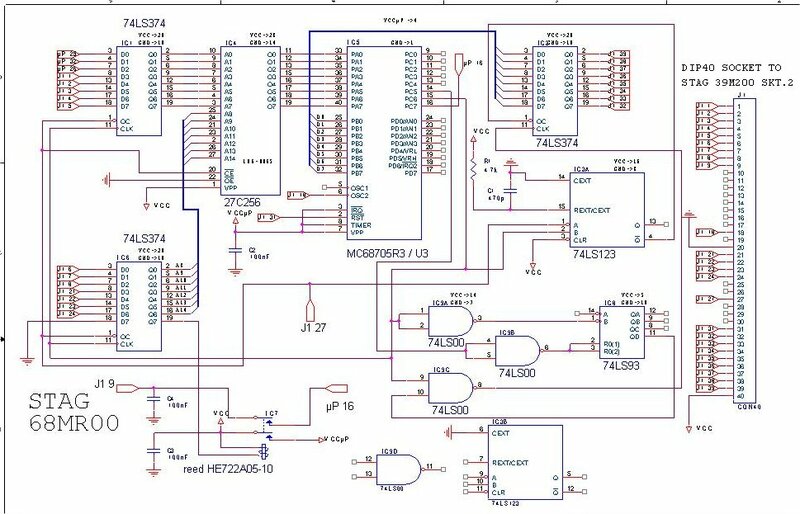 See the Schematic to realize this adapter (pdf printable format). 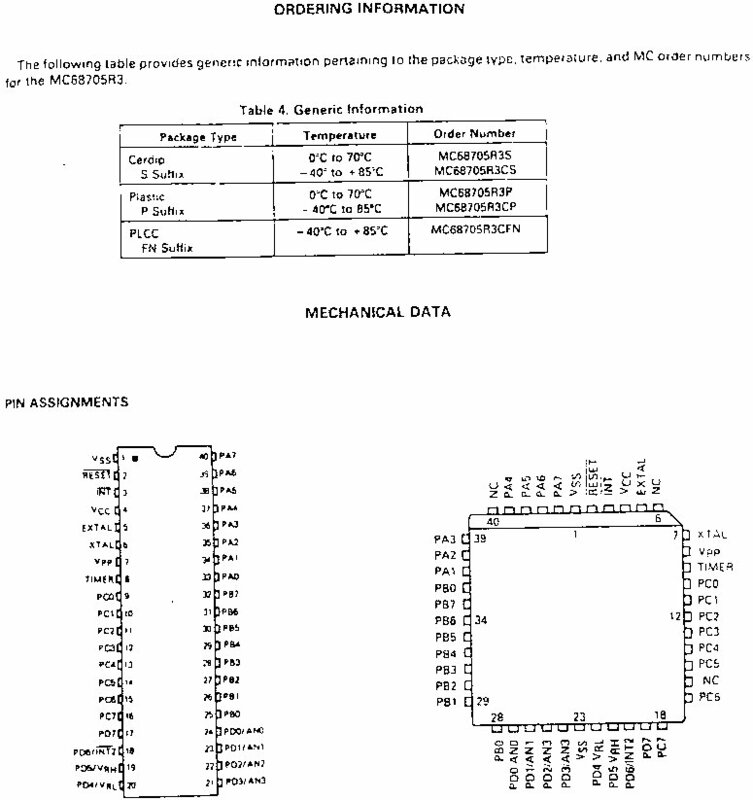 See Documentation how to use this adapter : This adapter has to be plugged on the SKT.2 DIP40 Socket of the 39M200 Microprocessor Module. If you look forward for other information about this 68MR00 Adapter, do not hesitate to contact me by e-mail at: matthieu.benoit@free.fr . Also if you have any data about this adapter, read-out method, etc.., do not hesitate to contribute to this page. Si vous recherchez des informations pour cet adaptateur de lecture 68MR00, vous pouvez me contacter par e-mail : matthieu.benoit@free.fr . De même si vous avez des informations sur la méthode de lecture de cette adaptateur, etc.., n'hésitez pas à contribuer à cette page. 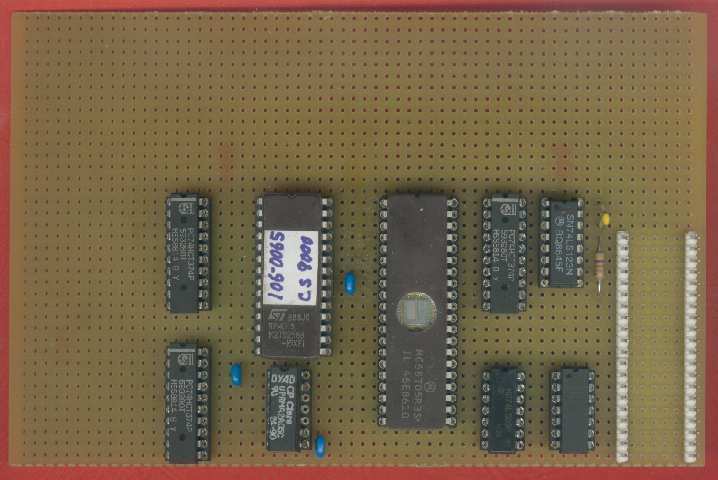 The 68MR00 is interesting and having more info about the 39M200 would be more helpful since I can only guess what is happening around its socket 2.
it might be the voltage which puts the U3/R3 into its NUM mode. to do with how NUM mode works. 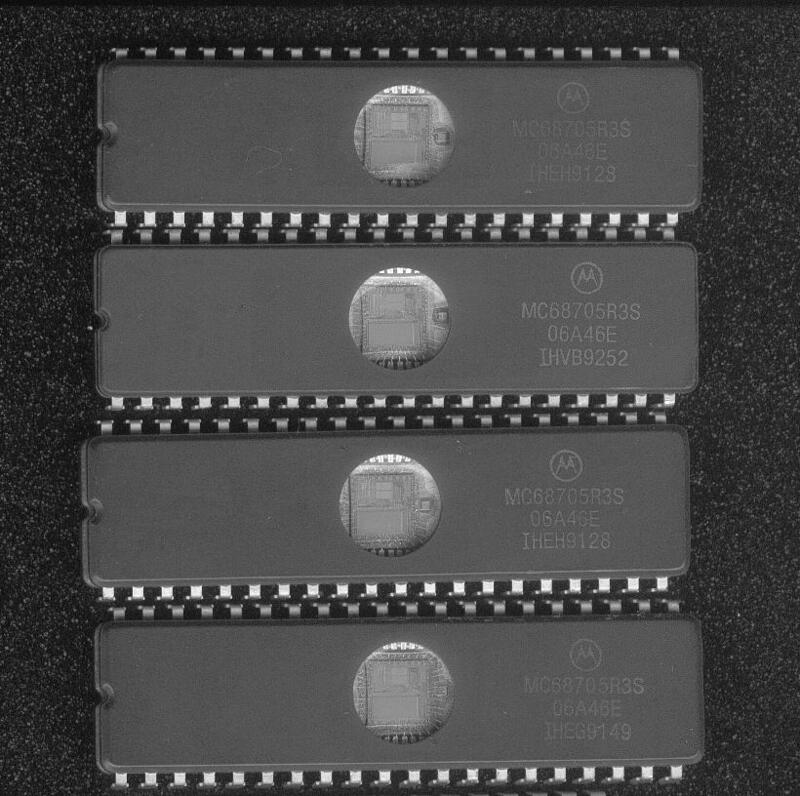 3. uP pins 2 (RST) and 6 (OSC2) are also controlled from socket 2. Probably just to provide a clock and a reset signal. latches (IC1, IC2 & IC6). This must be part of NUM.